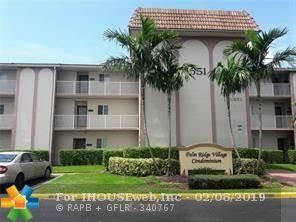 11651 Royal Palm Blvd #304, Coral Springs, FL.| MLS# F10161692 | PRAG Realtors is Broward County's premier boutique real estate agency. South Florida Homes for Sale and Real Estate. We specialize in 1st time buyers, down payment assistance programs, distressed properties, representing Buyers and Sellers. ALL AGES, 3rd FLOOR UNIT WITH ELEVATOR ACCESS, iMPACT GLASS FRONT DOOR AND SLIDING BACK DOOR. PERFECT FOR INVESTORS AS WELL FOR OWNERS TO LIVE IN. LOCATED IN ONE OF THE BEST SCHOOL DISTRICTS CORAL SPRINGS HAS TO OFFER. THIS SPACIOUS 2/2 CONDO FEATURES A GREAT OPEN KITCHEN CONCEPT, LARGE LIVING AND DINING COMBINATION, BIG MASTER BEDROOM WITH WALK-IN-CLOSET, BRAND NEW RENOVATION INCLUDES; KITCHEN WITH GRANITE COUNTER TOPS, STAINLESS STEEL APPLIANCES, TILE FLOOR THROUGHOUT, BATHROOMS, NEW AC, AND HAS BEEN PAINTED. UNIT ALSO OFFERS A BALCONY WITH STORAGE CLOSET. NOT A SHORT SALE OR REO!!! PROPERTY BEING SOLD "AS IS" WITH RIGHT TO INSPECT. BUILDING OFFERS A COMMUNITY SWIMMING POOL, COIN LAUNDRY ON EACH FLOOR + ADDITIONAL STORAGE SPACE OUTSIDE THE UNIT. 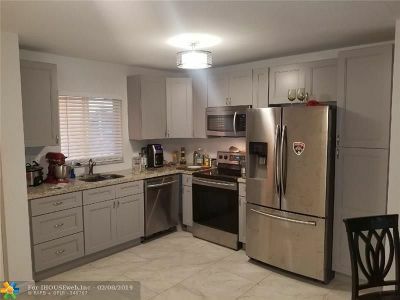 UNIT PRICE IS REFLECTIVE ON RENOVATIONS. Directions: Building Located On Northeast Corner Of Royal Palm Blvd And Coral Ridge Dr.